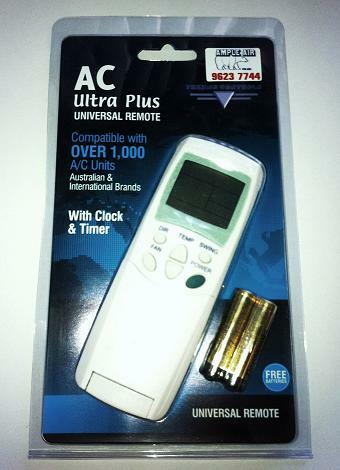 I would like to know how do you have the 1,000 different codes available for over 10,000 different models from your AC Ultra Plus Universal Remote Instructions & Codes. Do you have any database ou does the remote control copies the codes? I want to create an arduino air conditioning universal controller. The remote is from a database of codes, select the model you require and the programming is done for you. How do I change it back please? Hi Phil, by simply pressing both temperature UP & DOWN simultaneously, the temperature will change from Fahrenheit to Celsius and vice versa.